What the fork is going on with Australia's tawdry, sensationalist media, asks Dave Donovan. Last week, we were treated to two unedifying spectacles, writes managing editor David Donovan — Cardinal Pell in Rome, and the media piling on Credlin and Abbott over their alleged affair. Most of last week, we were treated to the unedifying spectacle of Cardinal George Pell giving evidence to the Child Abuse Royal Commission via videolink from Rome. And what did we learn from Pell's evidence? That even though he didn't see anything, know anything and was the unlikely victim of a massive criminal conspiracy to prevent him from discovering the truth about the numerous priest paedophiles fiendishly operating all around him, he was, paradoxically, the only one doing anything to stop abuse in the Church. To top it all, the Cardinal gave an "exclusive" interview to Rupert Murdoch's ever so unbiased Andrew Bolt, where he admitted he could have travelled back to Australia to give evidence, but stayed because he had an "important job" in Rome. So what ever happened to that medical condition? That heart thing that prevented him flying? Just a lie? A ruse to keep himself out of harm's way? Out of the range of public opprobium in his home country, where all the offences he seems to have deliberately ignored occurred? Really, who would believe a single self-serving thing George Pell ever says? As I said, an unedifying spectacle. Speaking of unedifying, the week ended with a media circus over some alleged – possible, perhaps – affair between former Prime Minister Tony Abbott and his then chief of staff, Peta Credlin. Well, I don't know about you, but I couldn't care less whether these two were intimate. Some people say that it is evidence, if true, of Abbott's hypocrisy and deceit — but we already knew about all that. Anyone who ever thought any different has obviously never read Margot Kingston's excellent 'Australians for Honest Politics' exposé, for instance. 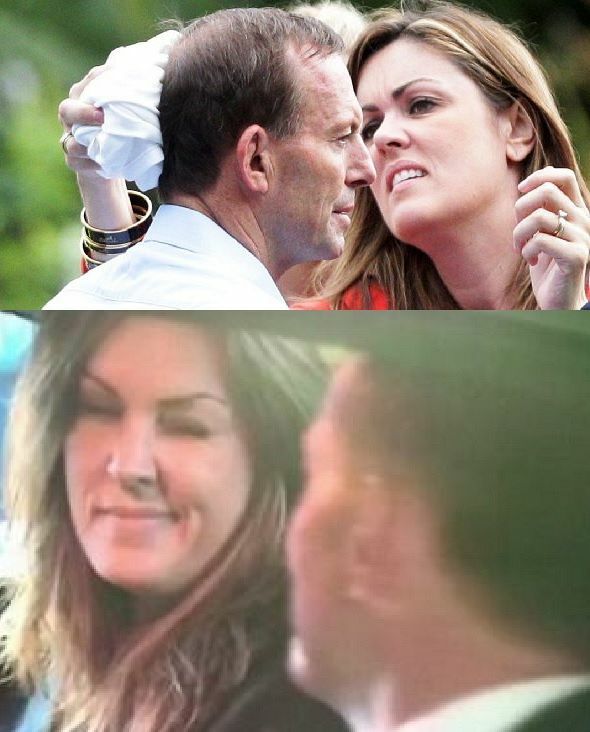 Now we hear Peta Credlin apparently fed onion munching Abbott food from her fork in an Italian restaurant. In my mind, the only people who should really be concerned about whether or not Tony and Peta were forking (or even spooning) should be Margie and Brian — their respective spouses. The rest of us should be far more concerned about how they and their cronies were forking Australia. And how they might just keep on doing it if we're not very careful. Have any policies really changed under this new Government? Communications Minister Mitch Fifield could not name one on ABC Insiders yesterday — just saying that the "tone" had changed. "Welcome to the new Tone. Just like the old Tone."